Easily my most favourite Al Rehab perfume oil. 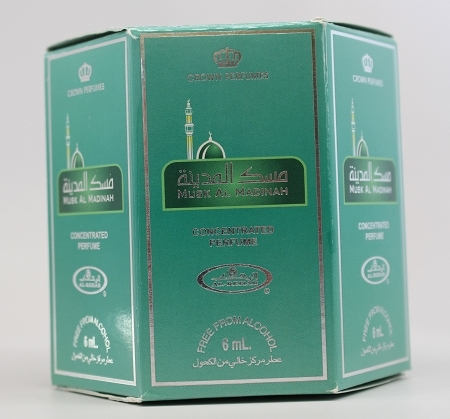 Musk Al Madinah is a soapy musk, with a very light touch of sandalwood. Longevity is a few hours. Highly recommended if you like white musk-type scents, or even scents like China Rain. Pleasant but very, very light scent. Almost too light. I was hesitant to order because I thought it would not smell the same as the one I bought locally but it is the exact same smell that I love. I will be ordering more inshallah. I bought this online. This is one of the thickest oil I have ever purchased in my life. Smells a bit awkward in the beginning, but is awesome after first 10-15 minutes.